Hainault Forest was part of the ‘Great Forest of Essex’ and in 1641 in the reign of Charles I the exact boundaries of the forest were established – the River Lee formed a natural boundary in the West, with the highway from Bow bridge to Ilford and the Whalebone Road the Southern boundary and a series of stones formed the Eastern boundary. The forest was bisected by the River Roding from Passingford Bridge, north of the Richard Stone to Ilford. It was a natural division and each half became known as Waltham Forest and Hainault Forest. In 1902, Mr E.N.Buxton wanted to reclaim some of the forest lands and approached the London County Council for the possibility of purchasing 800 acres of land. Following the Hainault Act of 1903, MR Buxton was allowed to purchase land with financial support from Essex County Council and councils of West Ham, Leyton, Ilford, and Wanstead. The cost of the land was £21,000 and opened to the public in July 1906. On the 21st July 1906, Mr Buxton announced to a large crowd gathered at Cabin Hill that the land had been surveyed by an authority on golf, and because of its location being on a high ground, it was perfectly suitable for golf. Sometime later, work began to design and build an 18-hole golf course with an entrance next to the ‘Hainault Board School’ (a school for boys and girls) at the foot of Hogg Hill, as well as a lake at Foxburrows farm. The school had opened in 1885, but never attracted many pupils and was closed in 1911. This school was once attended by one of the past Hainault Forest Golf Club Honorary Life Members, Mr Jack A. Harvey. Around 1911 when the school was closed, it was leased from the Essex Education Authority to a Mr Pook who ran a laundry service from the school building. In 1908, the golf course had opened to the public, with the first ball being driven off by Sir George Alexander ( L.C.C ./J.P.) who later became the first President of the club in 1912. Sir George Alexander’s name is on the Club President’s board (in the main hall) and shows him being club President from 1912 to 1914. 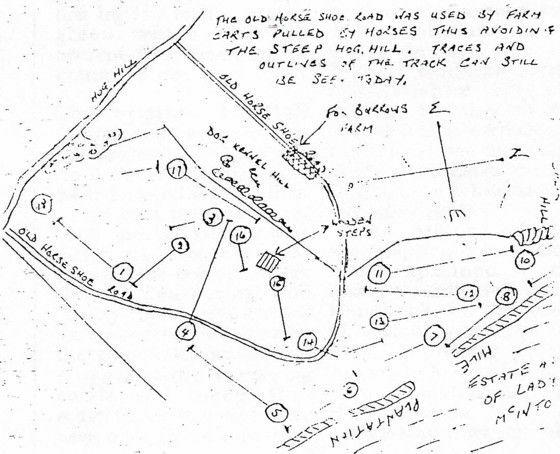 The original course (1908 -1930) was a single 18-hole course with no sand bunkers or ponds. The consultant for the design of the course was 5 times British Open Champion J.H. Taylor. Not long after the golf course was opened in 1908 a group of forty golfers started to play regular games. On Saturday 20th July 1912 they formed ‘The Hainault Forest Golf Club’, membership costing five shillings each (note there was no Sunday play allowed until much later around 1920/1922). Within eight months of the club being formed, the membership had increased to 150 and the first’ Annual General Meeting’ was held at the White Horse Hotel, Ilford, in September 1913, the financial balance standing at £8 12s 2d. In 1914, the members were renting a room from Mr Pook in the Laundry for £10.00 per year and hence the club was able to register under the licensing acts. On 14th April 1914, the club took their first drinks delivery from Taylor Walkers Brewery, which consisted of 1x 9 Gallon of ale, 8 x dozen bottles of ale, 4 x dozen bottles of stout and 1 case of whisky. 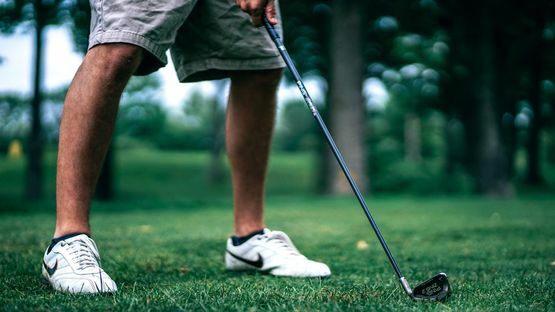 Later that year, Hainault Forest Golf Club also hosted an exhibition match between the ‘Great Triumvirates’ James Braid and John Taylor, both 5 times winners of the British Open. The exhibition match was played on 22nd August 1914 when both golfers were still at their peak. The club agreed on a £5 contribution towards the purse for the exhibition. In a foursomes match, Braid and Mr A O Goodrich (Club President 1914 – 1935) beat Taylor and Mr A. H. Darper by 5 and 4, and in the afternoon the renowned long hitting Braid beat Taylor 74 to 77. Why not visit our club house for more information about membership and hall hire.